It may only be their middle-of-the-range SUV, but Range Rover has decided that a 542bhp 5-litre supercharged V8 would make it better. 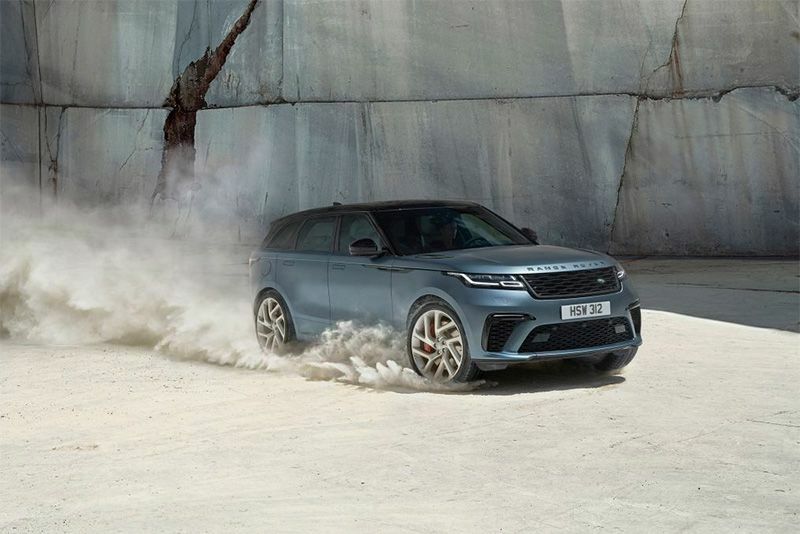 In what could be an attempt to deflect the news of upcoming retrenchments within the company, Jaguar Land Rover has handed their Range Rover Velar to their SVO division, who stuck a 542bhp 5-litre supercharged V8 into the engine bay. It's been named the Velar SV Autobiography Dynamic Edition, and it appears it's also a limited edition owing to the fact they're only going to produce it for a year. Then there's the matter of the SV designation, without an R at the end, suggesting this is a middle-of-the-range update – and leaving a space for a more enthusiastic SVR model. The Velar SV's design is rather muted compared to the SVR's on other Rangies, like the Range Rover Sport SVR, for instance. Changes on the Velar include larger front intakes, new standard 21- or optional 22-inch alloy wheels, uprated brakes and new quad exhaust pipes. Other noticeable changes include body-coloured panelling on the car’s sides, although there are no bespoke body panels though. The engine is Land Rover’s 5-litre supercharged V8 petrol, detuned to pump out 542bhp. An eight-speed ZF automatic transmission does duty as cog-swapper and helps to propel the Velar SV to 62mph in 4.5sec and on to a top speed of 170mph. This extra power requires the Velar’s air-suspension to be modified with stiffer air springs, fatter anti-roll bars and adjusted constantly variable dampers. These updates keep body-roll to a minimum and steering tighter, while the all-wheel-drive setup and locking rear differential have also been tweaked to allow up to 100 per cent of the power to the rear wheels when required. The interior receives new seats and trim finishes including freshly machined multifunction knobs on the dash. The rest remains contemporary and beautifully crafted in its minimalistic style. The Velar SV Autobiography Dynamic Edition, it appears, has been developed as a restrained and composed SUV leaning towards refinement and composure rather than a burly performance SUV snapping at the heels of the Porsche Macan GTS. That's what a beefy SVR would be, so we wait to see what Jaguar Land Rover have up their sleeves in that regard. For the time being, the SV is going to have to do, and it seems it'll do it well.